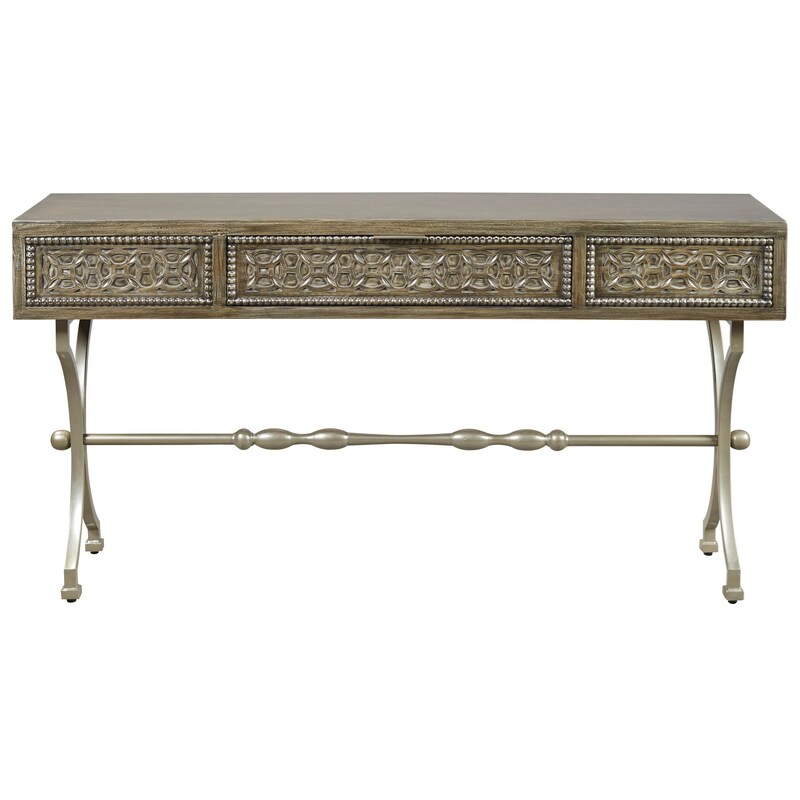 Many design details come together to create the elegant look for this transitional console table. From champagne-hued finish of the metal, to the medallion motif highlighted by nailhead trim, this piece is sure to elevate the style of your living room or entryway. The solid wood top also features one drawer perfect for keeping sundries neatly kept out of sight. The Quinnland Transitional Console Sofa Table with Medallion Pattern by Signature Design by Ashley from Nashco Furniture - Nashville. We proudly serve the Nashville, Franklin, Brentwood, Clarksville, Green Hills, Davidson County, Williamson County, Tennessee area. Product availability may vary. Contact us for the most current availability on this product.